My Hero Academia Episode 13. 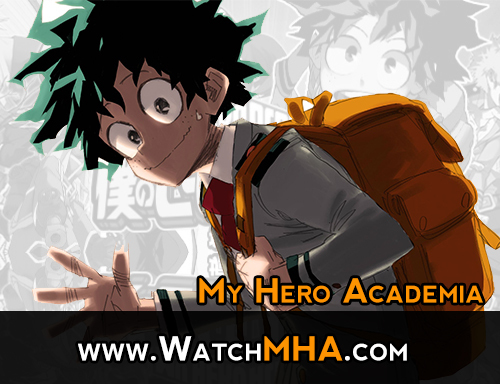 Watch Boku no Hero Academia Episode 13 in High Quality HD online on www.ww3.watchmha2.com. You Are watching Boku no Hero Academia Episode 13. Episode 13 in the TV Anime Series Boku no Hero Academia / My Hero Academia. Not even two more hours…..
13 episodes seem like a short season, I wonder when the next season will come out?!? I absolutely hate this 13 episode “season” bs…..
Me too. It used to be 25 episodes. They do it to make more dvds for money. In the end, it’s all about money. There is download button under video ,use it or try mp4upload tabs. from extensive anime watching, I would say that it’s because in japan it’s common to change shoes from outdoor to indoor shoes when being on school ground as he comes from the nurse’s office, and changes to outdoor shoes as he is heading home. So I would think that it’s not an oversight from their part. To the ones crying, this should cheer you up. yo real talk. where that invisible girl at tho. like srsly. couldnt she have helped. Cannot wait to see Stain in next season. If you like this anime, try JOJO NO KIMYOU NA BOUKEN: STARDUST CRUSADERS. MOVIE Futrai no Hero SUBBED is OUT!! Click here to Watch !! S3 Episode 25 SUBBED is OUT!! Click here to Watch !! Season 3 ENDED! Click here to READ the MANGA after Season 3 ending!! Season 3 Episode 25 DUBBED is OUT!! Click here to Watch !! OVA 2 SUBBED is OUT!! Click here to Watch ! !